June 18 – Financial Times (Mohamed El-Erian): “In hiking rates and, more notably, reaffirming its forward policy guidance and setting out plans for the phased contraction of its balance sheet, the Federal Reserve signalled last week that it has become less data dependent and more emboldened to normalise monetary policy. Yet, judging from asset prices, markets are failing to internalise sufficiently the shift in the policy regime. Should this discrepancy prevail in the months to come, the Fed could well be forced into the type of policy tightening process that could prove quite unpleasant for markets." I’m not yet ready to move beyond the recent focus on global monetary policy. Belatedly, the Fed has become “more emboldened to normalise monetary policy.” Global policymakers may finally be turning more emboldened, though taking their precious time has nurtured alarming market complacency. Over a period of years, securities markets became progressively more emboldened to the view that higher asset prices were the top priority of global central banks. For years I’ve argued that this is one policy slippery slope. For good reason, markets do not these days take seriously the threat of a tightening of financial conditions. The Fed and fellow central banks will surely seek to avoid what at this point would be a painful development for the global securities markets. When faced with a well-established Bubble, the notion of a painless tightening of financial conditions is a myth. The current debate, focusing simplistically on interest rates and the level consumer price inflation, misses the overarching issue. U.S. and global central banking shifted to an untested and radical regime of directly inflating securities prices. No longer do central banks attempt to loosen or tighten bank lending through subtle changes in reserve holdings and interbank lending rates. Why not just purchase securities, supporting prices while injecting liquidity directly into the marketplace? This momentous transformation of monetary management unfolded over a couple of decades – somehow seemingly unnoticed. Financial innovation played a key role. As more debt was securitized, the impact of marketplace liquidity upon system Credit dynamics became increasingly important. Much to its delight, the Fed recognized that small policy adjustments could exert big effects on risk-taking and leveraging – hence marketplace liquidity, pricing and overall system stimulus. It was a case of booming Wall Street finance affording the Greenspan Fed the most powerfully alluring monetary policy transmission in history. At the same time, it was power our central bank was ill-equipped to administer. The Fed became increasingly supportive of the debt and equities markets – of Wall Street more generally - nurturing speculation, securities leveraging, derivatives and myriad deleterious financial and economic effects. In terms of overall system stimulus, securities markets eventually came to dominate traditional bank lending. After disregarding repeated market warnings, the fragility of such a financial regime became obvious in 2008. Rather than using the crisis and its lessons to reposition to a more well-grounded monetary regime, the Fed and central bankers doubled down. Reflating securities markets became priority one, and central banks went so far as to be willing to inject newly created “money” directly into the markets to achieve their objective. Central banks should not be in the business of favoring individual asset classes, sectors or groups in society. Never should a small group of unelected officials have such discretion to create Trillions of “money” and allocate wealth. After all, if “printing” Trillions to buy marketable debt was such a fine idea, why did central bankers wait until deep crisis to implement such a doctrine? The new regime that developed specifically favored securities markets, Wall Street and the wealthy. It has fancied the financial speculator at the expense of the saver. The new regime favored financial engineering to productive investment – the white collar to the blue collar. There was no problem seen with deindustrialization and persistent huge Current Account Deficits. No issue whatsoever exchanging new financial claims for Chinese imports. The new regime has spurred wealth redistribution that is at the root of a divided country, political dysfunction and escalating geopolitical risk. And there is little mystery surrounding weak economic underpinnings, dismal productivity trends and stagnant wages and living standards. Contemporary finance has proven itself especially deficient in allocating resources throughout the economy. Markets have been over-liquefied, too distorted, grossly speculative and too monstrous to be an effective mechanism for resource allocation. All these consequences of precarious financial and policy regimes - and resulting Credit and assets Bubbles – apparently ensure that the Fed and global central bankers are trapped in policy doctrine beholden to the securities and derivatives markets. This week I found myself again contemplating contemporary “money” and monetary theory. I pondered the attributes of “insatiable demand” and “preciousness” - and how governments throughout history abused the insatiable demand for money, eventually destroying its preciousness with dire consequences for financial systems, economies and societies. Central bankers have become way too comfortable creating new “money” and using it to drive the markets. Over-liquefied markets, then, turned too comfortable financing (and leveraging) endless government borrowings. It has amounted to a historic inflation of “money” at the heart of the financial system. Especially since the crisis and Bernanke Reflation aftermath, Washington Finance has come to completely dominate the foundation of contemporary global finance. Looking back to 1990, there was about $2.5 TN of Treasury Securities, $1.5 TN of Agency Securities and $340bn of Federal Reserve Credit. The three main sources of Washington Finance combined to $4.25 TN, or 71% of GDP. The explosive growth of the GSEs helped push Washington Finance to $8.34 TN (Treasury $3.36 TN, Agency $4.35 TN, and Fed $635bn) by the end of 2000, or 81% of GDP. Nearing the end of the mortgage finance Bubble in 2007, Washington Finance had inflated to $14.4 TN (Treasury $6.05 TN, Agency $7.40 TN, and Fed $950bn), or 99% of GDP. In terms of Washington Finance, it is simply astonishing to contemplate what has unfolded since the crisis. Outstanding Treasury securities have reached $16.0 TN, with the Fed’s balance sheet ending 2016 at $4.43 TN. After all the fraud, insolvency and receivership, one might have assumed a downsized Agency sector. Not to be. Once Washington Finance takes hold, there’s apparently no letting loose. After a notably strong year of GSE growth, outstanding Agency Securities ended 2016 at a record $8.52 TN. Total Washington Finance ended the year at an incredible $28.93 TN, or 156% of GDP. This almost $29.0 TN of “money-like” Credit provides a deceptively (Bubble Illusion) solid foundation to U.S. and global finance. Here at home, this unprecedented inflation of Washington “money” has significantly bolstered asset prices, spending, corporate profits and government revenues. Globally, the flow of Washington “money” abroad (Current Account Deficits and financial flows) inflated international reserve holdings, integral to what became booming post-crisis EM financial systems. I would furthermore argue that the unprecedented inflation of Washington “money” was instrumental in bolstering Chinese Bubble inflation to epic proportions. Chinese financial and economic Bubbles then became elemental to powering Bubbles around the globe. And particularly over the past two years, unprecedented U.S.-inspired inflation of government “money” in Europe and Japan (and elsewhere) provided the liquidity to propel a financial Bubble in the face of an increasingly troubling fundamental backdrop. This has now been going on so long that is seems business as usual. Central banking and contemporary monetary doctrine are held in high esteem. Yet the history of great monetary inflations shows that, once going, they’re virtually impossible to control. And that’s where we are today. Understandably, after accommodating Bubble to this point, markets assume that policymakers (i.e. Washington, Beijing, Frankfurt, Tokyo, etc.) will not dare risk popping them. At the same time, central bankers must by now appreciate that ultra-loose policies are a clear and present danger to financial stability. Beijing at least recognizes the risk of letting their (out of control) Bubble run. Surely officials in Washington, Beijing, Europe, Tokyo and elsewhere would prefer to begin normalizing policy at this point. But this now goes so far beyond interest rates. We’re talking tens of Trillions of specious “money” and money-like securities and even much larger quantities of equities and corporate Credit whose values have been inflated by the massive expansion of government finance. To be sure, the current backdrop so dwarfs market misperceptions, distortions and mispricing from the mortgage finance Bubble period. Policymakers everywhere prefer a go slow approach to “tightening,” determined not to upset the securities markets. Beijing this week provided aggressive liquidity injections, taking some pressure off Chinese bond yields, interbank lending rates and stock prices. Market wishful thinking has it that both Chinese officials and the Federal Reserve have largely completed “tightening” measures. Both systems, however, have powerful Bubble Dynamics feeding off the perception of safe government “money” and ongoing government support for securities and asset prices. Policy “normalization” would require that governments retreat from backstopping the markets and dictating system finance more generally. At this late-stage of the Bubble, markets have no fear that policymakers are willing to risk bursting Bubbles. A cautious go slow approach to tightening and normalization may seem perfectly logical to central bankers, but it’s tantamount to not going at all. Inflation psychology has become deeply engrained throughout global financial markets – and it will be broken only through significant disappointment and anguish. - Price action over the prior week. The metals complex may have bottomed this past week, and began what I think may be a very strong rally. It never fails. When the gold market was going down again, we began to hear the bears grumbling about how we are heading to the $1,000 region and lower. We began to hear about "false breakouts" leading to major breakdowns. In fact, just as we were hitting the lows this past week, I read several analysts suggesting shorts on the metals. Yes, you heard me right. In fact, one analyst who was bullish all the way down from the 2011 high to the 2015 lows is now suggesting that seasonality will not allow the metals to move at all during the summer. 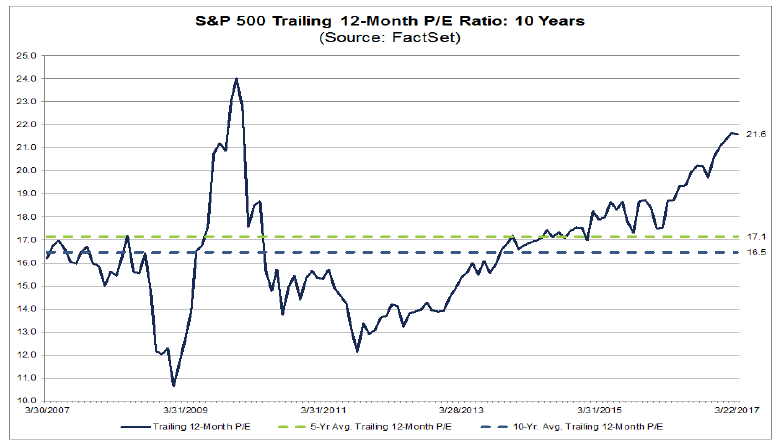 For a perma-bull, that is akin to turning bearish. But, remember, analysts are human beings too. And, they fall prey to the same sentiments affecting the masses, so they herd just as well as most novice investors. In 1996, Robert Olson published a study in the Financial Analysts Journal in which he studied the effects of herding upon "expert" fundamental analysts' predictions of corporate earnings. Experts' earnings predictions exhibit positive bias and disappointing accuracy. These shortcomings are usually attributed to some combination of incomplete knowledge, incompetence, and/or misrepresentation. Mr. Olson's article suggests that "the human desire for consensus leads to herding behavior among earnings forecasters," with the herd always looking for the current trend to continue unabated and indefinitely. But, those that have experience in the non-linear work of the stock market understand that the most bullish calls by these "expert fundamentalists" almost always come at the top of a market or stock. And, in our recent case with metals, at the bottom. When dealing with a non-linear market, one has to have a non-linear tool with which to gauge it. In my particular case, that tool is Elliott Wave analysis. That tool had me recently looking for a test of the 24 region in the GDX, before a pullback down towards the 21.50-22 region. It seems the market chose to split the difference, since we are seeking confirmation that GDX just bottomed at 21.75. As far as silver is concerned, my ideal target was 16.30, which is exactly where silver bottomed. However, the ideal target I had in GLD was in the 118.30 region, which GLD did undercut by approximately 25 cents. Yet, the positive divergences we were seeing on the charts were strongly suggestive of bottoming action despite a slight break below our ideal target on GLD. In fact, as the metals complex was hitting their lows on Wednesday, June 21st, at 8:32am, I posted in our Trading Room at Elliottwavetrader.net "This SHOULD be the last decline in the metals complex." While our methodology is clearly not perfect, and we have been wrong at times, it has given us advance warning of each and every bottom struck in the complex since we bottomed a year and a half ago. The one time we missed a call was back at the August 2016 high, where we missed the first move down from 31.85-28 in the GDX, but we did catch the remaining decline from 28 to the 19 region, at which time we correctly turned bullish again. While there is no such thing as the holy grail in non-linear markets, you still do need some perspective which can provide advance notice of a change in trend a great majority of the time. Otherwise, you are left to assume that the trend will continue unabated, just like the analysts reviewed by Mr. Olson above. At this point in time, I think it rather easy. The market struck the bottoming targets we had on all our charts, and has since reversed. As long as the market provides us with corrective pullbacks that do not break below this past week's low, we are set up for a very strong rally into the summer. Specifically, once you see a strong break out in GLD over the 123 region, it would not shock me to see it rally in semi-parabolic fashion with an initial target of 138, but with an ideal target of 143-145. COPENHAGEN – President Donald Trump’s withdrawal of the United States from the Paris climate agreement leaves the US without a global warming policy. That is alarming. But the world’s response – to double down on the pact in opposition to Trump – should also cause concern. There have been two conflicting responses to Trump’s decision – often heard from the very same person. On the other hand, we hear the defiant suggestion that Trump’s decision might not be so important, because renewable energy is already becoming so cheap that a future without fossil fuels has nearly arrived. Gore claims the planet is in the midst of an “inevitable transition to a clean energy economy,” and Steyer recently said that the time when “renewables plus storage is cheaper than fossil fuels” has already arrived. Not only are these arguments mutually contradictory; each also happens to be wrong. Abandoning the Paris agreement does not risk our planet’s future, because the agreement itself does little to solve global warming. And green energy is far from locked in as a cost-effective replacement for fossil fuels. Fooling ourselves on these points means failing to address climate change effectively. To keep the increase in global temperature below the target of 2°C (relative to the preindustrial era), the planet needs to reduce carbon dioxide emissions during this century by about 6,000 billion tons. The United Nations Framework Convention on Climate Change (UNFCCC) – the organizer of the Paris accord – estimates that even if every country makes every promised cut, CO2 emissions would fall by just 56 billion tons by 2030. The UN’s own figures reveal that even in an implausibly optimistic, best-case scenario, the Paris accord would leave 99% of the climate problem in place. This is hardly a sure-fire policy to solve global warming. Moreover, even before Trump announced his decision, it was unlikely that every country would fulfill every promise. Consider the 1997 Kyoto Protocol on climate change. Countries signing that agreement actually ended up dropping out or simply ignoring it. The evidence shows that Kyoto ended up having almost no effect. The inadequacies of the Paris agreement were acknowledged by environmentalists at the time it was signed, though some are changing their tune, in order to stand steadfastly against Trump. There is nothing new in the politicization of climate policy or the over-selling of a political agreement. But the deeper problem is that a lot of puffery about the state of renewable energy has accompanied the Paris hype. In fact, the world will spend $125 billion on wind and solar subsidies alone in 2017. Despite four decades of financial support, the International Energy Agency (IEA) reports that wind provides just 0.5% of today’s energy needs, and solar photovoltaic a minuscule 0.1%. More than $3 trillion will be spent on subsidies just on wind and solar photovoltaic over the next 25 years. Even by 2040, and assuming that all of the Paris agreement’s promises are fulfilled, the IEA expects wind and solar to provide, respectively, just 1.9% and 1% of global energy. This is not what an economy in the midst of an “inevitable” shift away from fossil fuels looks like. Solar and wind energy depend on considerable subsidies because in most contexts, they remain more expensive than fossil fuels. When the United Kingdom cut solar power subsidies, installations plummeted. Spain was once paying almost 1% of its GDP in renewable subsidies, more than it spent on higher education. When it cut back, new wind energy production collapsed. Green energy investors and politicians lead the public-relations advance, assisted by a credulous media that likes to tell green-technology “success” stories. But if green energy were already competitive or near-competitive with fossil fuels, the Paris agreement would be unnecessary. The entire world would be dumping fossil fuels for the cheaper, better option. Hyping the effects of the Paris agreement and the state of today’s green energy gives us false assurance. We believe that we are doing what is required to “save the planet,” Trump’s move notwithstanding. And we don’t focus on what we actually need to do to rein in temperature rises. It’s not very complicated: We must end wasteful subsidies for both fossil fuels and inefficient solar and wind. And we should focus on investment in innovation to improve green energy. Governments and donors must spend much more on research and development than they do now. The fund announced by philanthropist Bill Gates is a very promising start, as is the agreement by 22 countries and the European Union double their investments from $15 billion to $30 billion. But, to reduce temperatures by more than a fraction of a degree, the planet needs something more like a sixfold increase in green energy R&D. This would still be much cheaper than the Paris agreement, which requires the rollout of expensive, inefficient energy. And it would be much more effective. Trump richly deserves criticism for abandoning the Paris climate agreement without any alternative plan of action. But, by ignoring reality, the rest of the world is not doing much better. - Gold speculators closed nearly 50,000 long contracts last week, which was one of the largest speculative sell-offs of the year. - Despite this drop in longs, gold moved very little on the week. - Normally that would be bullish news, but weak demand in Asia and a hawkish Fed makes us very cautious. - At this point we remain very cautious of gold's short-term picture and suggest investors remain on the sidelines. 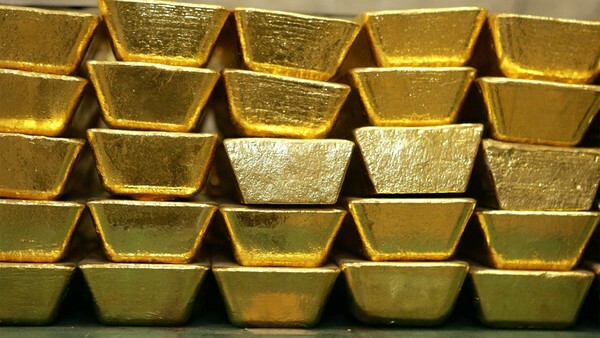 The latest Commitment of Traders (COT) report showed a week of massive speculative gold selling despite only a moderate drop in the gold price. Despite the big selling by speculative longs, we saw little action with speculative gold shorts suggesting that maybe shorts are hesitant to forecast a lower gold price or are already at comfortable positional levels. Indian gold premiums finally rose last week after selling at a discount the previous week, while Chinese gold buying was lackluster. 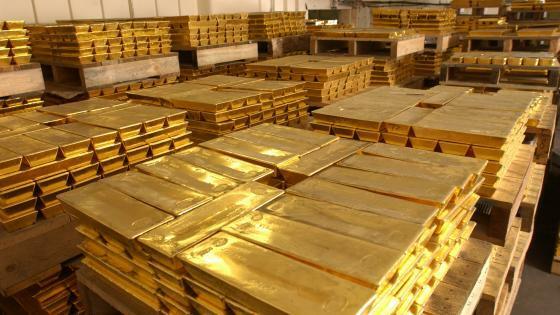 Finally, looking forward to next week we see little in the way of economic events, so many analysts think gold will be tracking major moves in oil and the US Dollar. Though there is never one report or tool that can give you certainty about where prices are headed in the future, the COT report does allow small investors a way to see what larger traders are doing and to possibly position their positions accordingly. For example, if there is a large managed money short interest in gold, that is often an indicator that a rally may be coming because the market is overly pessimistic and saturated with shorts - so you may want to take a long position. There are many ways to read the COT report, and there are many analysts that focus specifically on this report (we are not one of them) so we won't claim to be the exports on it. 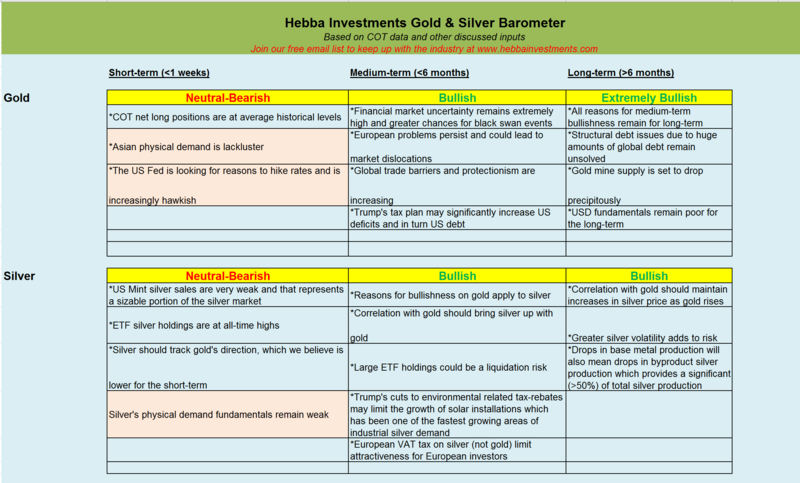 What we focus on in this report is the "Managed Money" positions and total open interest as it gives us an idea of how much interest there is in the gold market and how the short-term players are positioned. 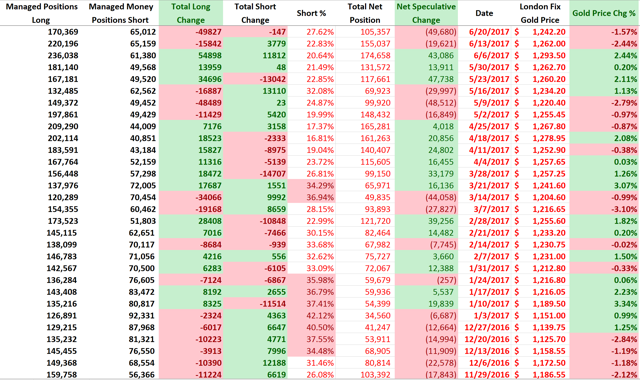 For the second week in a row, speculative longs cut back on their long positions by a massive 49,827 contracts, which was one of the biggest speculative long drawdowns of the year. 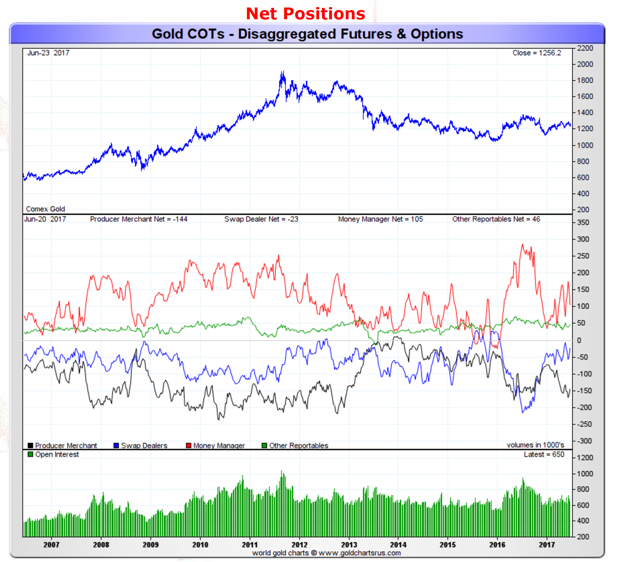 Despite this, the gold price only dropped 1.57% for the COT week and we would have expected a bit more considering the size of the long selling. 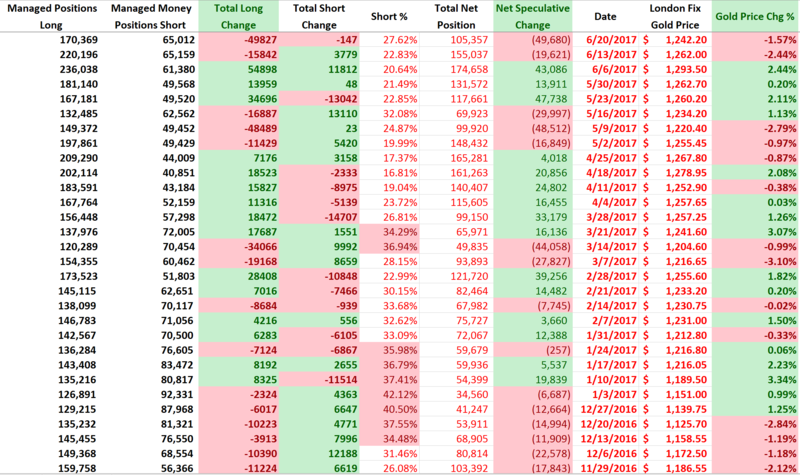 Meanwhile, speculative gold shorts closed out a tiny 147 contracts on the week, a bit unusual considering we usually see speculative shorts ADD to positions on these types of down weeks. It may suggest shorts are a bit trigger-shy or are already comfortable at their short levels and are reluctant to get "uncomfortable" and add more. The red-line represents the net speculative gold positions of money managers (the biggest category of speculative trader), and as investors can see, we saw the net position of speculative traders decreased by around 50,000 contracts to 105,000 net speculative long contracts. It looks like we continue to zig-zag from average to above average levels over the past six months, with the current positions at average historical levels. 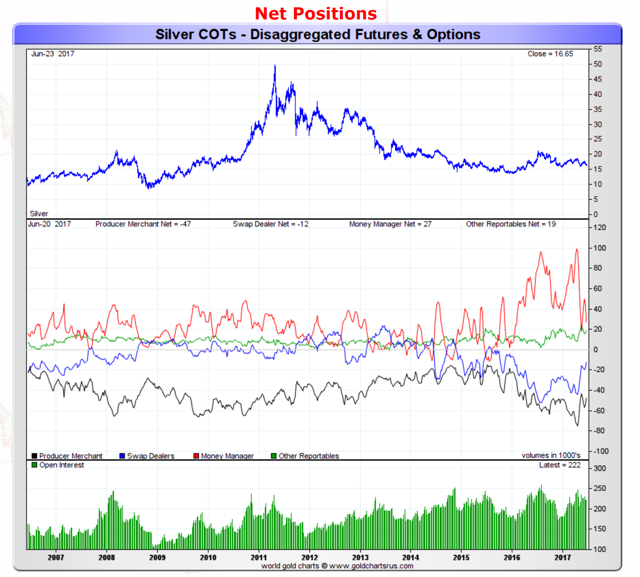 The red line which represents the net speculative positions of money managers, showed a decrease in the net-long silver speculator position as their total net position fell by around 17,000 contracts to a net speculative long position of 27,000 contracts. Silver is now starting to look attractive from this perspective as we are starting to see some of the lowest net speculative levels in silver since early 2016. But we do note, which we have mentioned before, the actual fundamentals of silver remain a bit weak as physical demand has been extremely poor with silver bullion sales slow across the board. Gold traded at a premium to official domestic prices in India this week for the first time in about a month, while demand remained lackluster elsewhere in Asia despite a drop in prices. Demand in India improved slightly, with dealers charging a premium of up to $1 an ounce over official domestic prices this week, against a discount of $3 last week. But jewelers seem to still be implementing the new goods and services tax and are reluctant to make new purchases. In China, premiums remain unchanged as consumer sentiment remains weak despite some gold buying as prices dropped under $1250. According to Cameron Alexander, an analyst with Thomson Reuters-owned metals consultancy GFMS, "In China consumer sentiment is weak. People are not spending money and also looking to fashion jeweler rather than investment-driven purchases." What this means for gold investors is that caution should abound as Asian demand remains lackluster. From a COT perspective, gold and silver look to be getting to healthier levels as speculators close out bullish positions. Additionally, gold total speculative short percentage of 27% is where we start to become much more interested about buying back positions - all else equal. But we are a bit concerned about the lack of Asian demand especially considering the hawkish comments from regional Federal Reserve presidents - most notably, New York Fed President William Dudley. Gold HAS held up very well despite this backdrop, but we are very cautious and we have seen this before as gold holds up well and then proceeds to drop. Perhaps if we see more COT speculators selling we will change our short-term view, but without any new catalysts, weak Asian demand, and hawkish comments from the Fed we have to remain short-term Neutral-Bearish on gold and silver. Investors need to be VERY CAUTIOUS here as despite gold holding up fairly well to these negative catalysts, that can all change in a session as most of gold's strength is coming from "paper traders" - they can sell in an instant. At this point we continue to think the prudent short-term move is to wait on purchasing additional gold and silver positions (SPDR Gold Trust ETF (NYSEARCA:GLD), iShares Silver Trust (NYSEARCA:SLV), Sprott Physical Silver Trust (NYSEARCA:PSLV), and ETFS Physical Swiss Gold Trust ETF, etc). Technology is a major foundation of national power. Its uses are obvious. But the path from innovation to obsolescence is frequently less obvious. Technologies that define an era usually come from a major geopolitical power. Roman engineering, for example, helped shape the Mediterranean world. British technology created and sustained the industrial revolution. These empires could absorb the cost of innovation because they had the money to do so and because they knew it would only reinforce their power. And because technologies are meant to reinforce power, even the most benign were invented for military purposes. Consider the iPhone, an invention of Apple, the genius of Steve Jobs, and a helpful, hip, and harmless product. Or so it would seem. The centerpiece of the iPhone, as is the case with so many electronics today, is the microprocessor. The microprocessor was the fruit of the labor of a variety of scientists and engineers who were sponsored by the US government, which needed a lightweight computer for missiles, aircraft, and other systems. The technology quickly found use in the F-14 fighter aircraft, intercontinental ballistic missiles, and submarine-launched nuclear missiles. Fast forward to 1985. General Dynamics, known at the time as GTE, helped the US Army create an advanced network for a device invented some 12 years earlier. The device was the cellphone, which would face its first true test in Operation Desert Storm. The Army needed a reliable wireless communications system that could be easily deployed, and the cellphone fit the bill. Many of the iPhone’s accessories and ancillary functions were developed for similar purposes. The idea of digital photography was developed by the National Reconnaissance Office, which needed a better way to produce photographs taken by their satellites. (Chemical photography required developing, and that meant that the film had to be ejected by the satellite and caught by an aircraft in the air.) The NRO, therefore, developed a digital camera that could stream pictures back to earth. The descendants of this camera—this tool of spycraft—are found in every iPhone. Maps and location services—a fixture on every iPhone—likewise have military forebears. GPS was originally meant to accurately guide the systems and vehicles of the armed forces, not Uber drivers. The satellites that make GPS possible, even today, are operated by the US Air Force. And then there is the Internet, which is available literally at our fingertips. It was developed by the Defense Advanced Research Projects Agency, more commonly known as DARPA. The more recent generations of iPhones, meanwhile, feature voice recognition software. SIRI, as we’ve come to know her, was originally a DARPA-funded project of SRI International, an American research institute. A few points follow. The first and most obvious is that the iPhone, an icon of innovation, is actually a composite of older technologies; only SIRI was invented this century. To its credit, Apple updated those technologies, fused them into a single platform, and turned that platform into a brilliantly packaged and marketed product. Still, what is called “high tech” is frequently an older innovation updated for modern use. It’s evolutionary, but it isn’t revolutionary. Second, the military is a primary source of innovation in our society. The 50 or so years the Cold War was fought, for example, was a heyday of technological growth. The technology needed to support global war—in space, in the air, on the sea, under the sea, and on land—required unbound creativity. In this regard, the United States, with its intellectual and financial resources, had the advantage. But the public is either unaware of or indifferent to the fact that much of the technology we now consider peaceful was designed to allow the US to wage global thermonuclear war. Third, we are reminded not just of the age of technologies but of their maturity. Maturity is different from obsolescence. The microprocessor cannot be considered cutting edge—it was put to practical use before 1970. But neither can it be considered obsolete—it is still widely used. It has become a foundation of society even though it is no longer being radically innovated. The same could be said of the automobile and the internal combustion engine. It was incredibly useful and would be sold for more than a century, but the basic innovations were in place around 1970, and the industry mostly became about marketing thereafter. The microprocessor has a bright future, but its heroic days are behind it. The greatest innovations follow this loose pattern: A handful of scientists create possibilities, which are later developed for military use before being sold in consumer markets. Governments, which are responsible for national defense, typically underwrite the research; private industry, which eventually benefits from it, is too risk averse. Put differently, the private sector builds off the foundation created by the government. As well the government should underwrite this research: New generations of technology are needed to raise productivity. If the model that has been in place since before World War II continues, then another generation of entrepreneurs will take advantage of military research and development, deploy it, and announce how much they dislike government interference in their work. Selling products is important, but we need to understand the role that war plays in consumer products. For the pacifists who love technology, and the libertarians who love it at least as much, there is a deep irony at work. A generation of media figures are cratering under the historical pressure of Donald Trump. 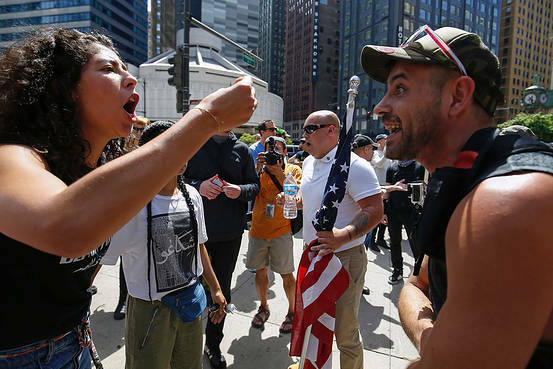 What we are living through in America is not only a division but a great estrangement. It is between those who support Donald Trump and those who despise him, between left and right, between the two parties, and even to some degree between the bases of those parties and their leaders in Washington. It is between the religious and those who laugh at Your Make Believe Friend, between cultural progressives and those who wish not to have progressive ways imposed upon them. It is between the coasts and the center, between those in flyover country and those who decide what flyover will watch on television next season. It is between “I accept the court’s decision” and “Bake my cake.” We look down on each other, fear each other, increasingly hate each other. Oh, to have a unifying figure, program or party. But we don’t, nor is there any immediate prospect. So, as Ben Franklin said, we’ll have to hang together or we’ll surely hang separately. To hang together—to continue as a country—at the very least we have to lower the political temperature. It’s on all of us more than ever to assume good faith, put our views forward with respect, even charity, and refuse to incite. We’ve been failing. Here is a reason the failure is so dangerous. In the early 1990s Roger Ailes had a talk show on the America’s Talking network and invited me to talk about a concern I’d been writing about, which was old-fashioned even then: violence on TV and in the movies. Grim and graphic images, repeated depictions of murder and beatings, are bad for our kids and our culture, I argued. Depictions of violence unknowingly encourage it. But look, Roger said, there’s comedy all over TV and I don’t see people running through the streets breaking into laughter. True, I said, but the problem is that, for a confluence of reasons, our country is increasingly populated by the not fully stable. They aren’t excited by wit, they’re excited by violence—especially unstable young men. They don’t have the built-in barriers and prohibitions that those more firmly planted in the world do. That’s what makes violent images dangerous and destructive. Art is art and censorship is an admission of defeat. Good judgment and a sense of responsibility are the answer. That’s what we’re doing now, exciting the unstable—not only with images but with words, and on every platform. It’s all too hot and revved up. This week we had a tragedy. If we don’t cool things down, we’ll have more. Why Does The Stock Market Continue To Levitate? - The resiliency of the stock market in the face of geopolitical uncertainty and deteriorating fundamentals is astonishing. 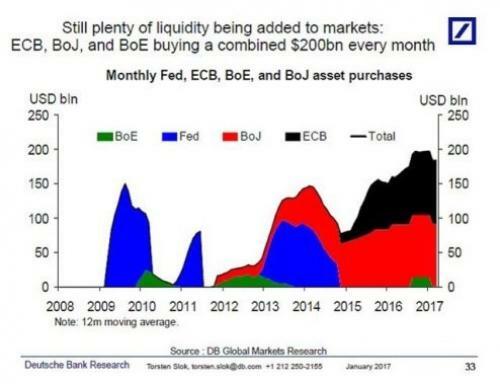 - The only logical explanation is the record pace of liquidity being created by central banks. - This has created two economies that continue to diverge. - The question is not whether or not we are in a bubble, but how and when it will end. The resiliency of the US stock market is truly amazing, refusing to give up as little as 2-3% for any more than a few days, or hours, before powering higher. This continued levitation comes regardless of whether the news is good, bad or indifferent. We often hear that the latest "relief" rally was the result of a better-than-expected outcome from a political or economic event or announcement. Yet to rally in relief suggests that the market suffered a meaningful decline in anticipatory angst over such an event or announcement, but that never happens. This is just an attempt to provide a rational explanation for what has become a very irrational market. Still, I search every day for fundamental reasons that might justify the stock market's current valuation, much less a higher one, but I can't find any. Wall Street often cites the return to earnings growth for the S&P 500 (NYSEARCA:SPY), but the current situation is more of a recovery than a growth story. If we use the pro-forma, or adjusted, earnings figures, which vary from one company to another depending on how many expenses they exclude as questionable one-time items to inflate their bottom line, earnings are still below the level achieved in 2014. If we use the numbers all companies are required to report, based on generally accepted accounting principles, the results are well below that of 2014. 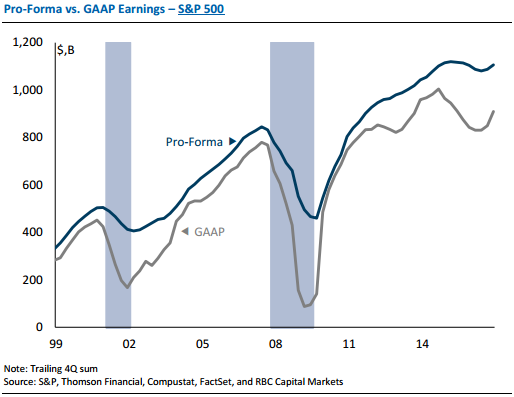 This standard doesn't show much of an earnings recovery. Despite this earnings stagnation, valuations have continued to climb to levels only topped just prior to the bursting of the technology bubble in 2000 and the housing bubble in 2008. This doesn't give me confidence in my long-term investment outlook. How do we explain what is happening today? I was stunned by a recent interview on CNBC of legendary investor Asher Edelman, who explained that the government's "plunge protection team" has been actively propping up stock prices. This group, otherwise known as the "Working Group on Financial Markets," was created by Ronald Reagan following the crash in 1987. Edelman believes that the PPT is operating through the New York Fed (which serves as the money manager for the Federal Reserve) and politically connected hedge fund goliaths, such as Citadel. This sure would explain a lot of the peculiar stock market activity we have seen in recent months and years, as well as the incredibly subdued level of volatility despite heightened levels of geopolitical stress. I can find nothing either to support or to discount Edelman's assertion, but I think there is a far more simple and obvious explanation. Central banks around the world, led by the European Central Bank, continue to buy financial assets at a rate that is approaching $200 billion a month. This unprecedented liquidity is what is propping up US stock prices either directly, or indirectly through the purchase of lower risk assets. Central banks purchased a record $1 trillion through the first four months of this year, and are on pace to increase liquidity by a record $3.6 trillion in 2017. I think this explains why the amount of sovereign debt around the world carrying a negative yield is approaching $10 trillion, meaning that an investor is willing to accept a negative rate of return to hold the bond until maturity. It also explains why stocks, bonds and even the safe haven of gold are all rising in price at the same time. There is so much liquidity in search of a home that any reallocation from one asset class to another has a muted impact. Further exacerbating the divergence between financial markets and economic fundamentals is the growing dominance of mindless computerized trading. I think this explains the nonsensical intraday moves in broad stock-market indices. JPMorgan (NYSE:JPM) asserts that just 10% of trading is done by fundamental discretionary traders today. 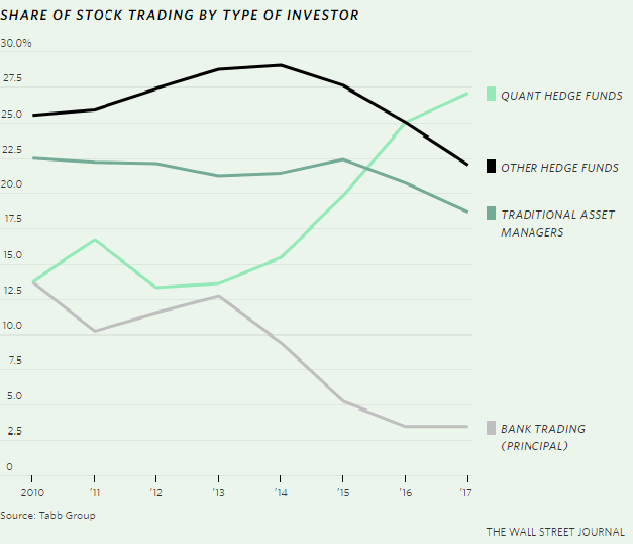 Hedge funds that manage money using quantitative computer models command nearly $1 trillion in assets and dominate trading activity. We have a tsunami of liquidity that is fueling financial markets on a global basis, as computerized trading models that could care less about what happened yesterday, or what may happen tomorrow, continue to gain dominance. If this isn't an accident waiting to happen, then I don't know what is. It most definitely explains why markets grow ever more decoupled from economic fundamentals. What global central banks, led by the Federal Reserve, either refuse to admit or never understood in the first place is that all this excess liquidity has done very little for the real economy. Instead, it has created two economies. Due to several factors outside the focus of this discussion, consumer demand for goods and services during this recovery has been extraordinarily weak. Regardless, the Federal Reserve continued to increase liquidity and ease financial conditions. Other central banks followed. The benefactors of this monetary policy largesse saw no reason to invest in the real economy, nor do they today, because demand remains so weak. Therefore, they invest in the financial economy where money is made with money rather than with real businesses. We may be approaching the day when the growing disparity between the real economy and its financial counterpart comes to an end. This week the Federal Reserve announced its intention to shrink its $4.5 trillion bond portfolio, thereby reducing the available liquidity in financial markets and potentially leading to an increase in long-term interest rates. If this occurs in combination with a deceleration in the rate of purchases by the ECB and other central banks, it could have a meaningful impact on market prices. All that I can conclude for now is that we are either in or rapidly approaching bubble territory in both stock and bond prices. High valuations alone do not necessarily mean that a significant price decline will happen in the near future, but there has always been a reversion to the mean from those high valuations. The question is where does that mean lie, and when will the reversion happen.